The Organised Cleaning Specialist is renown as one of Sydney’s top detailing services. Offering regular, intense, spring cleaning or pre-sale detailing – staff are fully trained by owner Sam Campbell, to ensure the highest standards at every job. What makes them different from other ‘cleaners’ is that they simply never just clean. Sam’s team work intricately on every aspect of a home, to ensure no speck of dust, dirt or other is left behind! From the kitchen sink drain build up to the dust bunnies behind the washing machine, the Organised Cleaning Specialist takes care of it all. In the past, cleaning services were often viewed as a luxury service for wealthy individuals and detailing was virtually unheard of. A quick vacuum of the floors and a light dust was about all money could pay for. Today, as more working families struggling to find time to keep the house in order, the Team at the Organised Cleaning Specialist is there to help wherever and as often as needed. Without regular detailing, homes start to show wear and tear much faster. In the long run, this can lead to earlier renovations which may not have been needed with professional detailing. A specialty area of interest for the Organised Cleaning Specialist is the detailing of homes prior to sale. A thorough, professional home detail can add thousands to the sale of your home as buyers always appreciate a clean and well maintained home. Needing a regular clean but nervous about ‘how the house looks?’ Don’t be! The Organised Cleaning Specialist, quotes every job is face to face. They match all clients with a trusted, professional member of staff and clients can request the same person for each detail if they choose. They also offer room by room cleaning and various levels of detailing to ensure their services are as affordable as possible, in the areas you need it most. From a difficult and often challenging childhood, Sam has risen above to become one of Macarthur’s leading business role models for young entrepreneurs. Sam has proven it doesn’t matter who you are or where you come from – with hard work and determination – anything is possible. While you would expect Sam to be busy in the office, she is usually rushing between detailing jobs and staff training. Sam is never too busy to pick up a grout brush and lend a hand. Although ‘down time’ isn’t really in Sam’s vocabulary, on weekends she can be found spending time with her children and giving back wherever possible to local not-for-profit agencies. Sam truly is an inspiration to staff and her local community. It is our goal to offer you the best possible detailing services available. If you aren’t 100% satisfied with our work, we will come back and re-do the job for free! I would like to say that I am very happy with the work the girls did today. My floors look like the day I moved in, actually I think they are better. The girls worked together to clean my home the way I wanted they arrived at the time I wanted and I am looking forward to a long partnership with them. Thank you so much. Hi Samantha. Just wanted to thank you so much for cleaning my house today. The girls have done a wonderful job! We would like to see if you would be able to do it once a month for us. You should be very proud of your business. Efficient professional and great customer service. Congratulations. Lynn Neilsen. Not just any cleaning company but one who knows what customer satisfaction is paramount. 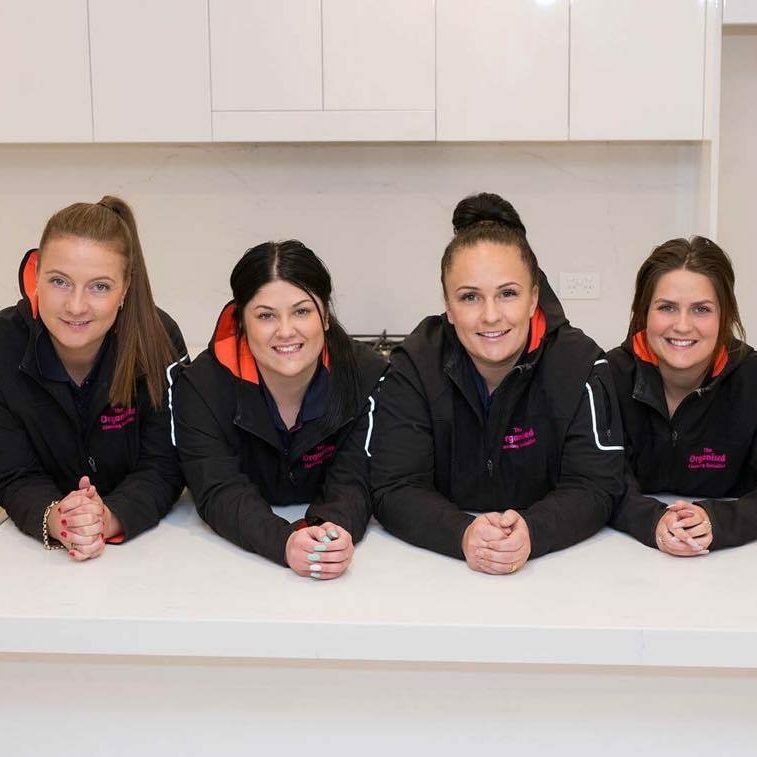 If you have a cleaning problem then these are the ladies who will solve it for you with no fuss! I had Samantha and two of her girls come out today to do some work in the house. I was extremely impressed with the amount they achieved in such a short space of time as they had some challenges to overcome. They were very friendly and needed very little direction. I will be hiring them again. Thanks Girls. A big thank you to the team @ The Organised Cleaning Specialist for a great job today. Quick, efficient and I am ready to hit 2016 right in the guts with super clean walls and ceilings. I have had many cleaners who start out ok but after a while just didn’t do a good job but since having Samantha and her girls clean our house and building projects I have never been disappointed. They are reliable, prompt and do a very thorough cleaning job. Samantha and her girls are excellent and very professional. They clean your house as if its their own and never hesitate to do any extra work that they see. The entire team is friendly and efficient, and we would recommend them to anyone. Without doubt the best cleaners we have ever had.